It's the start of a new year and it's time to fill up our card stashes so we are ready to send birthday cards at any moment! 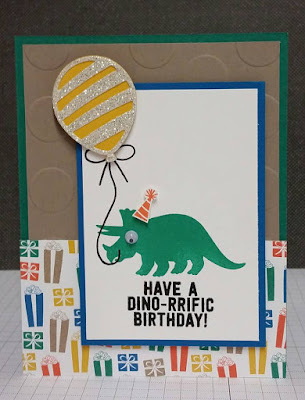 Today the SSINKspiration Design Team is showing you a variety of birthday cards. You will see masculine and feminine, adult and kid themed...we have them all! As you hop along, please be sure to comment and show some love on every blog! We are always excited to hear from our followers! 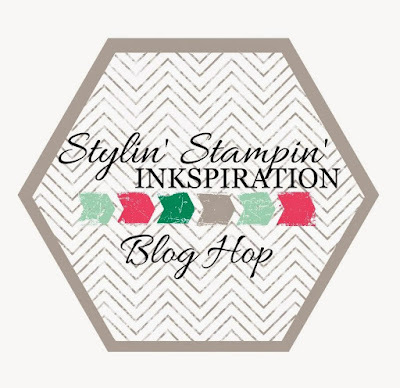 You should have just left stop number #15 on the Stylin' Stampin' INKspiration Blog Hop - Tonya B. at Stampin' with Tonya. If so, you are in the right spot. If a link doesn't work or you get off track, you will find the full blog hop lineup below. I love the dinosaurs from the No Bones About It Stamp Set. They look so cute going to a birthday party! When you stamp them, you have to add a googlie eye...it's a must! My blog completes the blog hop. But if you started in the middle, you won't want to miss what Jen G. has for you! Click the next button to check it out! What a cute card. I love the balloon in the dinosaurs mouth. I am sure the little boy to receive this one will be thrilled. Welcome back!!! 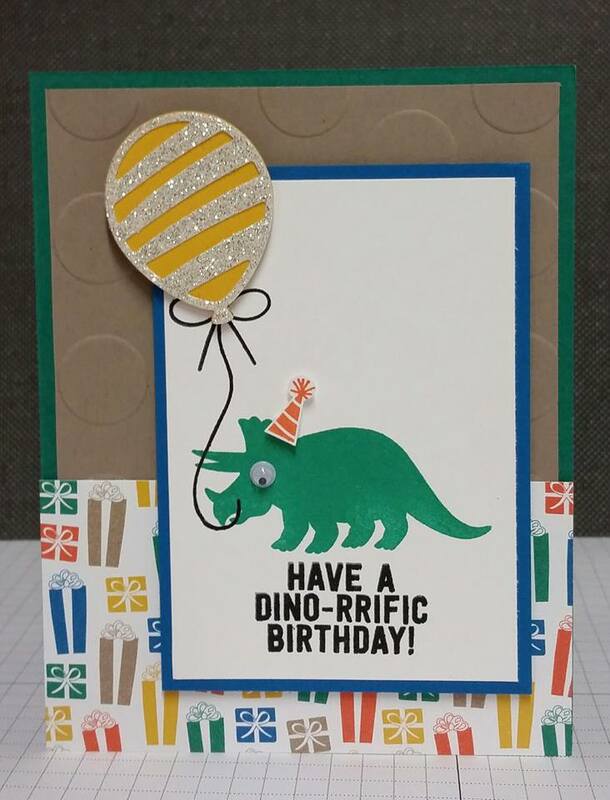 your dinosaur card is a perfect card for little boy!!! There's so much I like about this card! I think the googly eyes and glimmery balloon are my favorite details. Great card! I love your pre-historic party animal here! Son fun! Such a cute card! Love the party hat! Welcome back too! Haha, what a fun card! I love the little dinosaur and balloon. Welcome back!! That dino is so adorable, I almost missed your sparkly balloon! So glad to have you back creating with us! Love the card!! Especially the party hat & google eye!! How cute is this?!?! I love the dinosaur! So happy to be creating with you again! So cute! Love the googlie eye. I have been a Stampin Up Demonstrator for 8 years and I have loved every minute of it. My passion is scrapbooking but, I love to make cards as well. 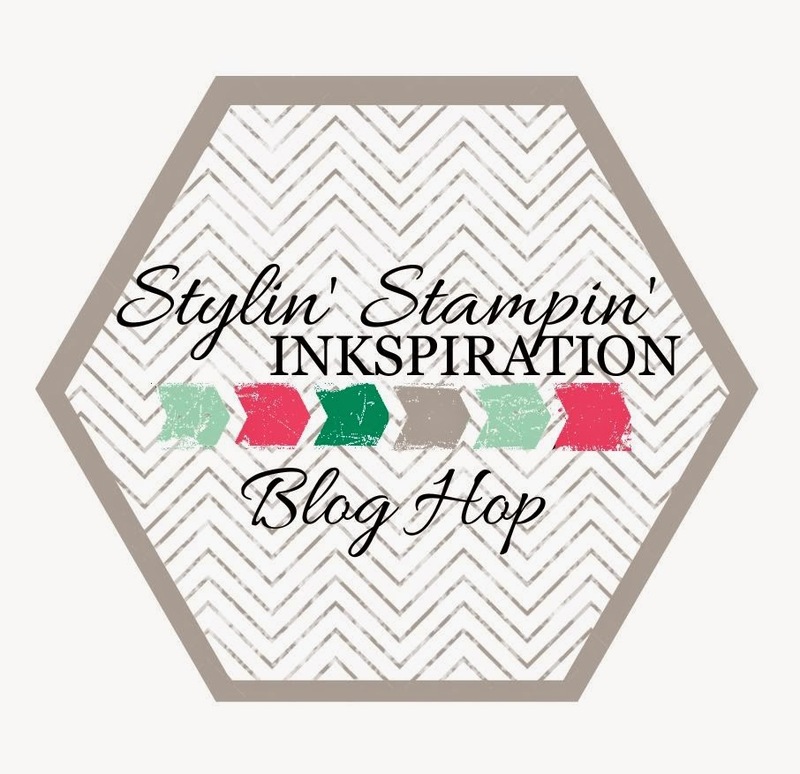 I am currently in love with Stampin' Up! 's NEW washi tape and framelits for the Big Shot! I also really enjoy the NEW Gorgeous Grunge Stamp Set! Please log in and select me as your demonstrator: Kim Ryden. Thanks!